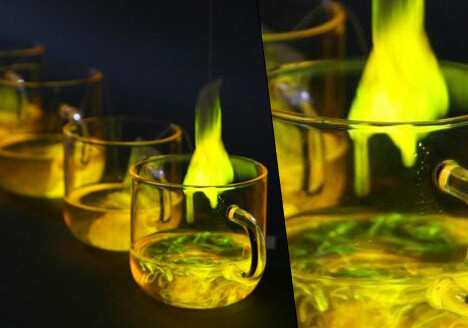 Surely you caffeine addicts will agree, tea truly is the sexually oriented drink – It picks you up! It illuminates your world, if I may say so. 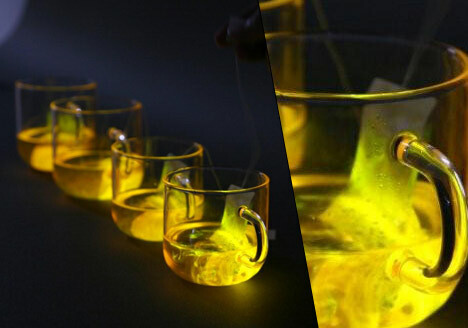 Designer / Bookmark Maker Wonsik Chae takes this concept to an elegant level by making the drop-in tea bag light up your environment chemically. 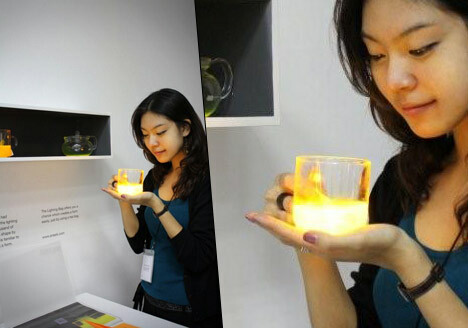 For those whose eyes are sensitive to brightness in the mornings, I recommend a different cup. For those who love lamp(s), drop it! 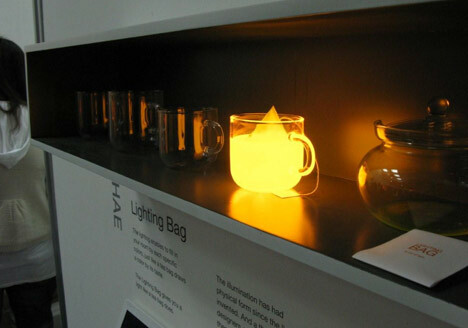 As the tea bag empties its taste into a tea cup, so does the “Lighting Bag” empty its light into any fluid-holding container. What Wonsik hopes to accomplish with this project is to tear down the idea that creating forms from which light can be projected must be a difficult task – he wants light forms to flow easily. 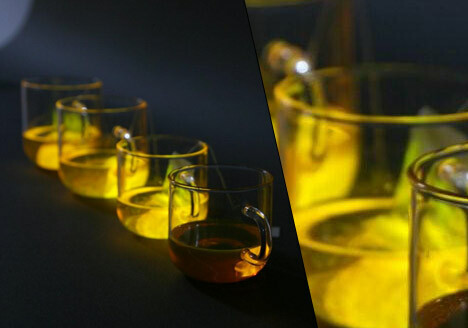 Having a manifesto for your industrial design project can be a dangerous rope to walk – what do you make of Wonsik’s liquid light concept? P.S. I must say, I LOVE the URL of Wonsik’s portfolio, as it plays on the pronunciation of the name:http://www.onesik.com/, and be sure to see the Contact page – it’s beautiful! 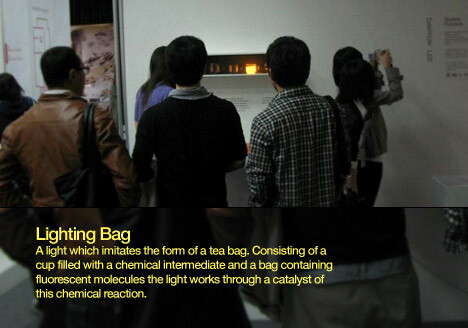 Lighting Bag by Wonsik Chae from Takashi Yamada on Vimeo. Next articleLFTP: A look ahead.